AboutA county fair wouldn’t be complete without the competition pies, quilts, giant pumpkins, and of course, the very best livestock in the entire area. There is nothing quite like the honor of walking home with a blue ribbon award. 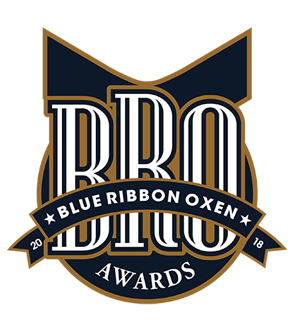 In August of 2019, OXEN Apparel will launch the first ever Blue Ribbon OXEN (BRO) Awards highlighting various ministries who exemplify what it means to carry the yoke of Christ. We won't be doing any horse shoe competitions, or chili cook-offs, but we are going to be awarding the best of the best OXEN in West Michigan with our first ever Blue Ribbon OXEN (BRO) Award! We want to honor and highlight some of the most excellent ministries throughout West Michigan that exemplify what it means to carry the yoke of Christ. George Moss will host the show on Wednesday, August 8th at Unity Christian Music Festival. The nomination process requires that the nominator completes the online nomination form. Anyone may nominate a ministry they feel deserves a BRO Award. In order for the ministry to qualify for the nomination, they must be actively working in an eligible ministry category during the current year of the awards ceremony. All submissions will be reviewed by members of the OXEN Apparel BRO Award committee. Each potential nominee will be evaluated based on the ministries biblical focus, leadership, service, and relevance to the appropriate category. If selected, they will be contacted via phone and/or email using the contact information in the entry to be offered an official nomination. If a ministry accepts a BRO Award nomination, they must be available to attend the award ceremony event. We only order awards for nominees who will be in attendance. If some ministries have a conviction about receiving accolades, we will ask them not to accept a BRO Award nomination. Tell us about your ministry, what inspired you to get into it, what makes your ministry stand out and what difference it makes on you, your community and the kingdom of God? We really want to hear your heart behind why you do what you do, and ultimately, how you and your ministry strives to "carry the yoke" of Jesus Christ! Call on your community to show their support by just clicking a button. Share the link to vote right here on OXENApparel.com/pages/bro-awards. We will be posting images of all of the nominees who are in the running for a BRO Award on the OXEN Apparel facebook page. Simply click that like button, and share it! Ask your friends to leave a comment of why they feel your ministry deserves a BRO. For extra credit, repost that image on your Instagram page and be sure to tag @OXENApparel and use #BROAWARDS2019 in the caption so we will be sure to see it. NO PURCHASE NECESSARY. A PURCHASE WILL NOT INCREASE YOUR CHANCE OF WINNING. THE BRO AWARD CONTEST ("Contest") IS SPONSORED BY OXEN APPAREL L.L.C. ("Sponsor"). *Sponsor will announce the top finalists on the contest website TBA. The top finalists will be notified via email and asked to schedule a date to shoot their promo video. Sponsor will announce the winners on TBA. Sponsor, its parent and affiliated companies, and each of their respective, officers, directors, employees, agents and persons engaged in the development, production or distribution of materials for this Contest (collectively, the "Contest Parties") and the immediate family members (i.e., parent, child, sibling, and spouse) of each and/or persons living in the same household of such individuals (whether related or not) are not eligible to participate in the Contest. This contest is subject to all applicable federal, state, and local laws and regulations, and is void in all geographic locations where prohibited by law. There will be a total of TBA Winners: one (1) Grand Prize Winner will receive a $1,000 in OXEN Apparel Merchandise and services from OXEN Apparel L.L.C along with an invitation to appear on 91.3 WCSG for an interview sharing the story of your ministry; four (4) Category Winners will receive an Official BRO Award Trophy and $200 in OXEN Apparel Merchandise; twelve (12) finalists will each receive a 60 second promotional video for their ministry produced by one of our film partners and two (2) back stage VIP passes & seating at the event. The OXEN Apparel services prizes may be used only by the Winners toward services orders placed through 3/31/19. Cannot be used in combination with other coupons or discounts, including account pricing. Not valid on OXEN Apparel retail products or postage. Does not apply to rush, packing or shipping charges. No cash value. Offer void where prohibited or restricted by law. Products, services and hours may vary by location. To enter the Contest, entrants ("Entrants") must be nominated via the Contest website located at oxenapparel.com/pages/bro-awards (the "Contest Site") and submit an online nomination form (the "Entry") between April 9, 2018 and May 25, 2018. An OXEN Apparel account is not required to enter the Contest. Nominees will be required to provide responses to the following: (1) Tell us what you do, the service you offer, and how do you share the Gospel of Jesus Christ) (2) Tell us about your ministry, what inspired you to get into it, what makes your ministry stand out and what difference it makes on you, your community or the world at large and (3) How would you use the BRO Award prize to make an impact on your ministry? All entries are subject to approval by Sponsor, in Sponsor’s sole discretion. Once submitted, all approved entries will be posted in a Contest Poll with the ability to vote for a ministry on the dedicated Contest Site. In addition, approved Entrants will be able to access a html voting badge on their contest profile for placement on their website and use the sharing functionality for social media and are encouraged to share this link with customers, friends and family to vote for their ministry during the Voting Period as described below. Entrants will receive a confirmation email of their submission upon full completion of the entry form. Entries are subject to disqualification at any time including after approval and posting to the Contest Gallery. Except where prohibited, entry in the Contest constitutes each Entrant’s consent to the publication of her/his/its name, organizational information and completed Entry, including the Digital Image, (to the extent applicable) in any media for any commercial or promotional purpose (including, without limitation, the Internet), without further compensation. By entering the Contest and providing an email address, each Entrant grants Sponsor express permission to send Entrant emails related to the Contest, including, but not limited to notification of Finalists, Winners and a follow-up email in order to gather feedback regarding the Contest to be used in the planning and design of future Contests. Limit: one (1) entry per ministry. Digital images and company logo must be in one of the following formats: .jpg, .png or .gif. Each digital image (including company logo) may not exceed 7MB. The optional video should not exceed 90 seconds in length and must be uploaded to YouTube as a public video and the link to the video provided in the submittal form. If any digital image or the video contains any material or elements that are not owned by the Entrant and/or are subject to the rights of third parties, and/or if any persons appear in the video or image, the Entrant is responsible for obtaining, prior to submission of the photograph or video, any and all releases and consents necessary to permit the exhibition and use of the image or video in the manner set forth in these Official Rules. If any person appearing in any photograph or video is under the age of majority in their state/province/territory of residence the signature of a parent or legal guardian is required on each release. If a professional image or video is submitted, Entrant is responsible for securing usage rights from the photographer or videographer to reproduce, distribute, display, and create derivative works of the image by Sponsor in connection with the Contest and promotion of the Contest, in any media now or hereafter known. Upon Sponsor's request, each Entrant must be prepared to provide (within seven (7) calendar days of receipt of Sponsor's request) such signed release from all third parties who (a) appear in the photograph or video submitted or (b) whose owned content appear in the photograph or video submitted, authorizing use by Sponsor and its licensees ("Authorized Parties") in accordance with these Official Rules. Failure to provide such releases upon request may result in disqualification at any time during the Contest. During the Voting Period, all persons who are eighteen (13) years or older and have a valid email address and properly answer the Captcha question will be eligible to vote for the ministry of their choice. Limit: One (1) vote per person per 24 hour period during the Voting Period. Votes received from any person using the same multiple email addresses in excess of the stated number will be void and will not be counted. Entrants are prohibited from obtaining votes by any fraudulent or inappropriate means. Fraudulent or inappropriate means include, but are not limited to the following: (a) Buying or knowingly receiving purchased votes in any manner from anyone, (b) Offering prizes or other inducements for votes to members of the public. However, Entrants are allowed to run ads/sponsored posts or promotions related to the BRO Award Contest that do not require the winner of the Entrant’s promotion to have voted. (c) The use of any automated, robotic, repetitive, programmed or similar registration or voting methods. (d) Any questionable activity that increases votes for an entry, including without limitation any attempts to artificially increase vote totals or trade votes. Sponsor reserves the right, in its sole discretion, to disqualify any Entrant who is suspected of violating these terms or otherwise tampering with the entry, voting or selection process. All eligible votes will be tallied by Sponsor at the conclusion of the Voting Period. Should there be a tie for the final spot, all Entrants receiving that number of votes will be eligible for consideration for the Top 12 Finalists. Sponsor will announce the Top 12 Finalists on July 9, 2018. The Top 12 will be notified via email with instructions for scheduling a date to shoot a 60 second promotional video of their ministry with one of our video partners no later than July 27, 2018. If Entrant does not coordinate the video shoot by the deadline, the Entrant will be automatically disqualified and not eligible for further consideration. 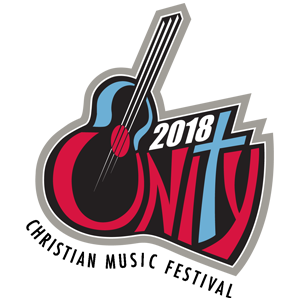 The Winners will be announced on August 8, 2018 on the spotlight stage at Unity Christian Music Festival. Winner will NOT be notified prior to the announcement. Winners may be featured in OXEN Apparel social channels and press release. Winners may not issue their own press release without prior approval by OXEN Apparel. Prizes are non-transferable. Sponsor reserves the right, in its sole discretion, to substitute a prize of equal or greater value if advertised prize becomes unavailable. All details of any prize not specified herein shall be determined solely by Sponsor. By accepting a Prize, each Winner acknowledges compliance with these Official Rules. All federal, state, local or other tax liabilities arising from this Contest are the sole responsibility of each Winner, respectively. All other expenses relating to acceptance of a Prize, including but not limited to taxes and any other expenses not specified herein are the sole responsibility of each Winner. Prize conditions may be added or modified by Sponsor, in its sole discretion. Acceptance of a Prize constitutes permission for the Sponsor and its designees to use each Winner’s name, photographs, entry material, other likenesses and biographical information for advertising, promotional or trade purposes, including but not limited to online announcements, in commerce and in all media worldwide without limitation or additional compensation, except where prohibited by law. A Winner may waive its right to receive the Prize. The Prize is non-assignable and non-transferable. No substitutions may be made by the Winner. Sponsor shall withhold taxes from any award as is required by law. Prior to receiving the Prize, Winners must execute a W-9 tax form verifying their tax identification number. Winners may be required, as instructed by Sponsor, to complete and sign (i) an affidavit of eligibility/liability certifying that such Winner has complied with the Official Rules of the Contest, and (ii) a liability and publicity release (except where prohibited by law). Failure to sign and return any of these documents or to comply with any term or condition of these Official Rules may result in an Winner’s disqualification, the forfeiture of its interest in the Prize, and, at Sponsor’s discretion, the presentation of the Prize to a substitute recipient. A Prize not won and/or claimed by a Winner and not awarded to a substitute recipient by Sponsor in accordance with these Official Rules will remain the property of Sponsor. Payment of Federal, State and Local taxes and fees due, if any, are the sole responsibility of the Winner. Sponsor reserves the right, in its sole discretion, to disqualify any Entrant at any time that it finds to be tampering with the entry process, voting process or the Contest; to be acting in violation of these Official Rules; or to be acting in an inappropriate or disruptive manner, or with intent to annoy, abuse, threaten or harass any other person. Submitted Entries must be consistent with the OXEN Apparel Mission, Strategy and Values and Sponsor reserves the right, in its sole discretion, to reject and/or disqualify any entries at any time that Sponsor deems to be hateful, slanderous, libelous, violent, obscene, defamatory, discriminatory (based on age, race, gender, religion, natural origin, physical disability or political affiliation), profane, offensive, lewd, sexually explicit, pornographic, false, misleading, deceptive, self-mutilating (e.g. relating to murder, the sales of weapons, cruelty, abuse, etc. ), illegal (computer hacking, underage drinking, etc. ), threatening, harassing, or otherwise inconsistent with its editorial standards, audience expectations, or repetitional interests or that contain images, words or symbols widely considered offensive to individuals of a certain race, gender, ethnicity, religion, sexual orientation or socioeconomic group, or that Sponsor believes may violate any applicable law or regulation or the rights of any third party or may subject the contest, Sponsor, or Sponsor's advertisers, clients, or customers to controversy, negative publicity, scorn, or ridicule. For purposes of this paragraph, Submitted Entries include content on the Entrant’s website and social media sites. Should Sponsor determine, in its sole discretion, that any announced Winner has violated any of the prohibitions contained in these Official Rules or should be disqualified for any other reason, Sponsor shall have no obligation to award a Prize to such Entrant. As a condition of entry, Sponsor reserves the right to conduct a background check on any potential finalist and/or winner and reserves the right in its sole discretion to disqualify any entrant based on such background check if in its sole discretion, the Sponsor determines that awarding the prize to such Entrant might reflect negatively on the Sponsor’s image and/or reputation. By participating in the Contest, each Entrant releases and holds Sponsor, its parent and affiliate companies and each of their directors, officers, employees, representatives, and agents harmless from and against any claims, costs, injuries, losses or damages of any kind arising out of or in connection with the Contest or with the acceptance, possession, use of or defect in any Prize (including, without limitation, claims, costs, injuries, losses or damages related to personal injuries, death, damage to, loss or destruction of property, rights of publicity or privacy, defamation or portrayal in a false light). Sponsor is not responsible for any incorrect or inaccurate information, whether caused by technical or human error or otherwise which may occur in the processing of entries or voting in this Contest or in the running of this Contest. Sponsor will not be responsible for typographical, printing or other errors in these Official Rules or in other materials relating to the Contest. If for any reason, the Contest is not capable of running as planned, including but not limited to by reason of fraud, computer virus, worms, bugs, tampering, unauthorized intervention, technical limitations or failures, human error, mistake or any other cause that in the sole opinion of Sponsor could compromise, undermine, corrupt or otherwise affect the security, integrity, fairness, administration, or proper conduct of this Contest, Sponsor reserves the right, in its sole discretion, to cancel, terminate, modify or suspend the Contest at any time and without notice. Notwithstanding anything set forth above, to the extent that the preceding release is determined by a tribunal of competent jurisdiction to be invalid, unenforceable or void for any reason, each Entrant agrees that, to the fullest extent permitted by law (i) any and all disputes, claims, and causes of action arising out of or in connection with the Contest, or any awards awarded shall be resolved individually without resort to any form of class action; (ii) any claims, judgments and awards shall be limited to actual out-of-pocket costs incurred by such Entrant, but in no event attorney's fees and no greater than $1,000; and (iii) under no circumstances will any Entrant be permitted to obtain any award for, and Entrant hereby waives all rights to claim, incidental, punitive or consequential damages. The construction, validity, interpretation and enforceability of these Official Rules, and all issues and questions relating thereto, along with the rights and obligations of all Entrants and of Sponsor, shall be governed by, and construed in accordance with the laws of the State of Michigan, without giving effect to any choice of law or conflict of law rules or provisions. In the event that any provision is determined to be invalid or otherwise unenforceable, such determination shall not affect the validity or enforceability of any other provision, and these Official Rules shall be construed in accordance with their terms as if the invalid or unenforceable provision was not contained therein. Any specific waiver of any obligation hereunder by Sponsor does not constitute a general waiver of that obligation nor of any other obligation of Entrant. Any dispute concerning this Contest shall be submitted to binding arbitration in Michigan within one (1) year from the date that the cause of action arose (or, if multiple cause of actions are involved, from the date that the first cause of action arose), with such arbitration conducted pursuant to the then prevailing rules of the American Arbitration Association. To the fullest extent permitted by law, no arbitration brought pursuant to these Official Rules shall be joined to any other arbitration initiated pursuant to these Official Rules. By participating in the Submission Process for this Contest, Entrant grants to Sponsor, its parent and affiliated companies an exclusive, assignable, royalty-free and irrevocable right and license to edit or otherwise use all materials submitted by Entrant in connection with the Contest, in whole or in part, for any purpose and in any manner or media (including, without limitation, the Internet) now known or hereafter devised, throughout the world in perpetuity, and to license others to do so, without notice and without compensation, royalty, accounting, liability or obligation of any kind to any Entrant. Each Entrant further agrees that it will use its best efforts to have its employees, consultants, volunteers, officers and directors sign any additional licenses or releases that Sponsor may require. BY SUBMITTING SUBMISSION MATERIALS, ENTRANTS EACH ACKNOWLEDGE THAT THE SUBMISSION MATERIALS, AND ANY OTHER MATERIALS SUBMITTED IN CONNECTION WITH THIS PROGRAM, MAY BE POSTED ON THE SPONSOR’S WEBSITE(S), IN SPONSOR'S SOLE DISCRETION. Sponsor reserves the right to edit the Submission Materials and other materials prior to posting them to the website in its sole discretion.